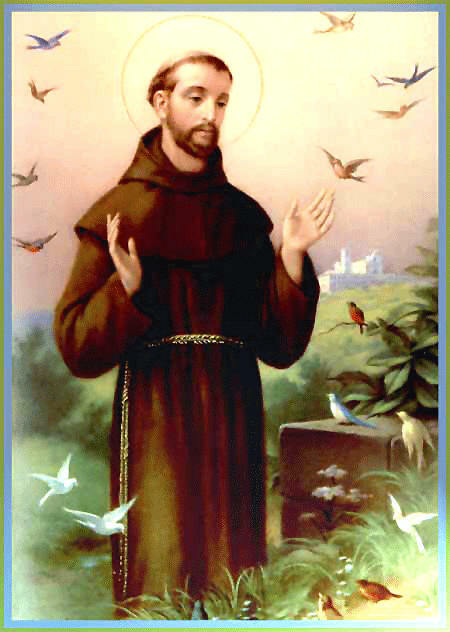 The Heart of the Matter: There's a Saint Louis, Missouri... Why Not a Saint Francis? There's a Saint Louis, Missouri... Why Not a Saint Francis? If you happen to be feeling overwhelmed at the moment, unappreciated, neglected, ignored, unloved, unsettled, diminished, disappointed, disillusioned, disgruntled, or just plain dissed, the following words from Saint Francis -- spoken over 800 years ago -- may be just what the doctor ordered. By the way, you don't have to be a saint to get the value. Just a human being. Thank you for this nice reminder of the prayer I copied (in Norwegian)on the back of a quote-card from the Bible........more than 40 years ago! That card is still with me and well used! "For ingen ting er umulig for Gud." "To God nothing is impossible".Luk.1-? In my special "Quote-book" I've copied it in French.....I'm sure it's to be found in a lot of languages around the world !